Viztek Opal-CR is the fast and easy way to convert your facility to digital today! 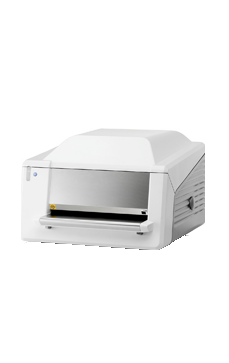 The easy-to-use tabletop CR can produce 56 plates per hour while offering crisp image quality. Reading images at 10 pixels/mm, the compact CR can be used in any environment, including mobile units. Viztek Opal-CR is the fastest way to take existing analog imaging into the digital realm. Additionally, the CR also offers significant speed and image quality over analog film processing. 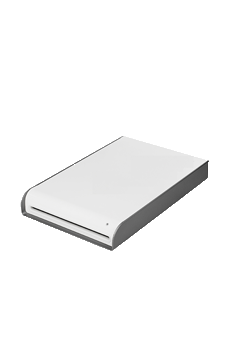 The CR is scalable and has a sleek footprint that is easy to install virtually anywhere. Weighing only 65lbs, the CR II can easily be used in applications where space is limited. An optional vertical wall mount is available, offering multiple installation options. Viztek CR II offers an easy in field upgrade to go from 20 plates per hour to 73 plates per hour, as your facility volume grows. Viztek CR II is supported by Symphony III post processing software complete with enhanced grid suppression. Viztek’s Opal Acquire software is also expandable with Opal PACS.